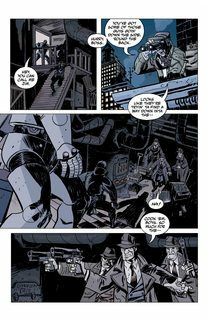 Lobster Johnson Vol. 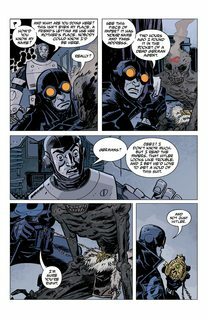 1 – 6 (TPB) (2008-2018) : Lobster Johnson (also known as the Lobster) is a fictional character featured in the Hellboy and Bureau For Paranormal Research and Defense comic books published by Dark Horse Comics. He was created by Mike Mignola. 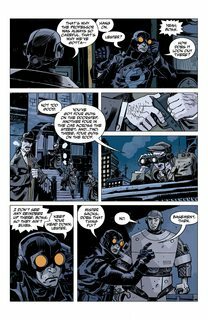 Within the Hellboy universe, the Lobster was a vigilante who worked in secret in New York City during the 1930s. Although the public believes that the Lobster was only the hero of pulp serials and comics, he was a real man who faced gangsters as well as paranormal threats. The Lobster had a reputation for violence, such as killing mobsters and burning his trademark lobster claw symbol into their foreheads with the palm of his gloved hand.